In the month of love, bring us your love! 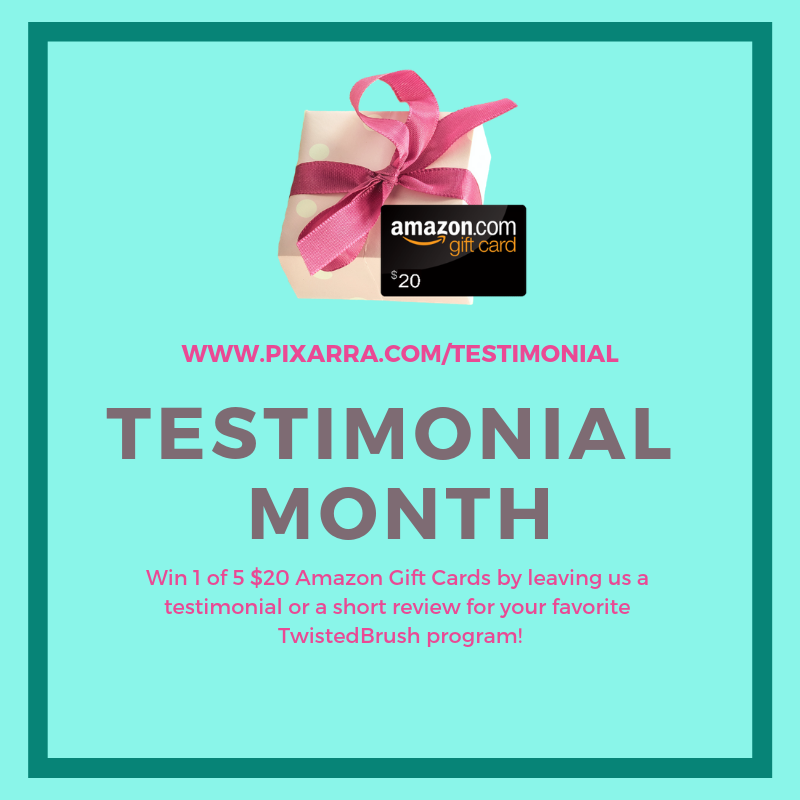 Write a testimonial or a short review for your favorite TwistedBrush programs and you will have the chance to win one of five $20 Amazon Gift Cards! 2. Write a testimonial or a short review for one or more of our products. 3. Upload a digital artwork created with the program or a photography of you.